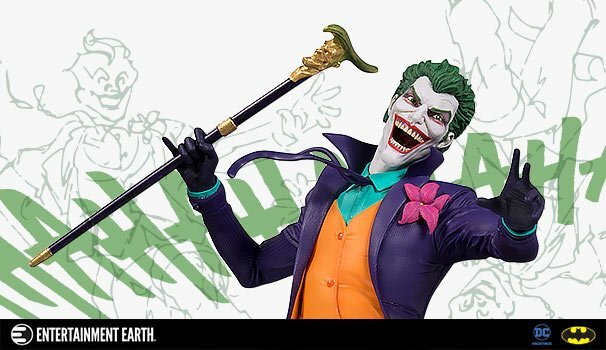 DC Collectibles shows off the goods before Toy Fair 2016! Burbank, CA – February 11, 2016 – DC Collectibles, the exclusive line of toy and collector items from DC Entertainment (DCE), will showcase its exciting 2016 product line-up at New York Toy Fair including a first-ever 6’’ premium action figure line based on Warner Bros. recent and upcoming DC films including Man of Steel, Batman v Superman: Dawn of Justice and Suicide Squad. In addition to the film-inspired line, in 2016 DC Collectibles will introduce a wide array of new statues, action figures and collectible items based on DCE’s comic and media properties and feature iconic characters Batman, Superman, Wonder Woman, Harley Quinn, and more.